Gadgets, no matter their size, have been a fascination for consumers for some time. The first iPhone was a massive craze as is any accessory for it. We all have one traditional bottle opener but then another; bigger, gadgetier, automatic bottle opener that also recycles and renews energy- we just can’t get enough. And, the first thing we do with all of our gadgets is customise them. Whether it’s a new background for our Android or swapping colours on our iPad cases we just can’t get enough. 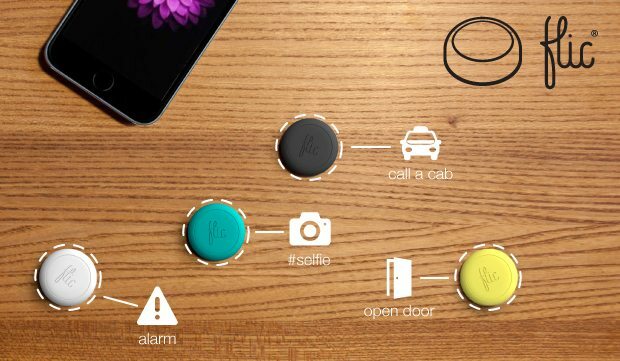 Flic is here to satisfy all of those needs in one tiny little gadget. 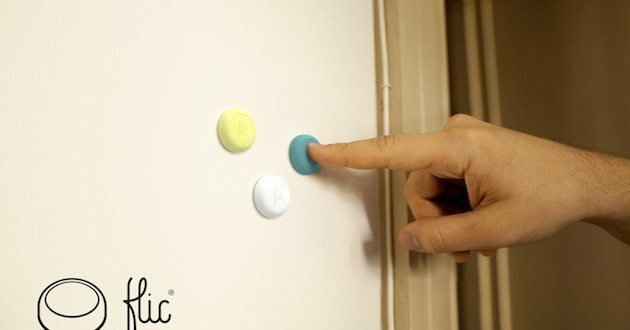 Flic is the completely customizable wireless smart button that adds simplicity to your life. You can control household functions (like turning on your lights), save yourself in emergency situations (like calling an ICE contact or 911), or open your door so you don’t have to get up off your comfy couch when your friends arrive. All the while, you don’t need to be next to your phone; Flic has a range of 150 feet (45 meters). 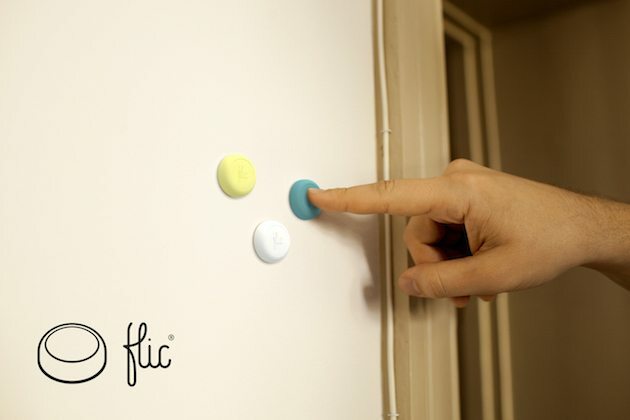 Flic is the button for anything you want. It can open a door, call a cab, and be your snooze button. It can even take a picture. The best part is that you can choose what you want it to do. Scratch that- the best part is that you can have as many Flics connected to your device as you want or have multiple users per Flic, all customizable, all with multiple functions, and all within reach. That means you can control, quite literally, everything around you. At the touch of a button. Each Flic can maintain three commands, or modes. There are three methods: click, double click, or hold. You can program each of the three modes to be individual actions and it’s simple. Flic requires setup through the official app that contains dozens of functions. Users can organize the functions in the app as well; the functions can be rearranged between click, double click, and hold so your snooze button can be switched from an arduous hold method to a single click. Conveniently, Flic is as tiny as you’d need it to be. 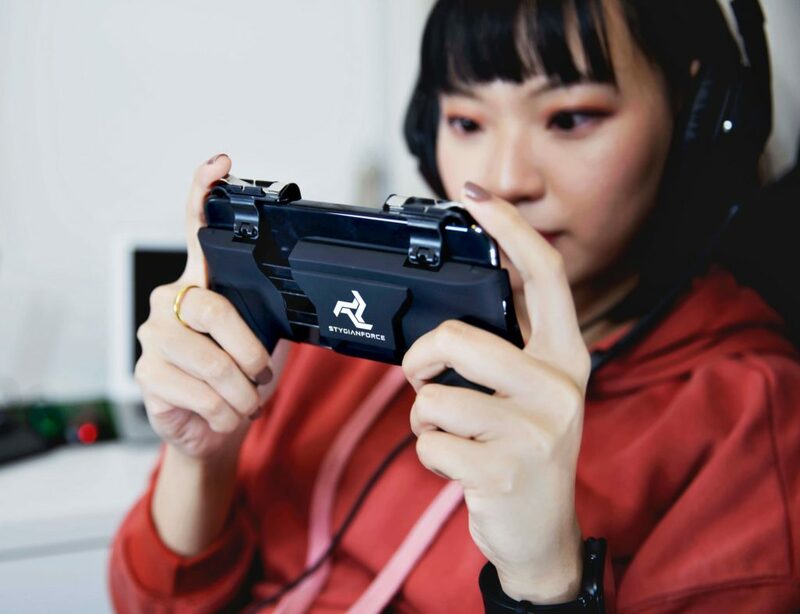 It’s only a few centimeters around and with its re-stickable adhesive backing and small size it can go just about anywhere. Teamed up with its dust and weather resistant silicon casing (complete with a clip style battery cover), it can go on your bedside table or your GoPro gear so you can start navigation without touching your phone. 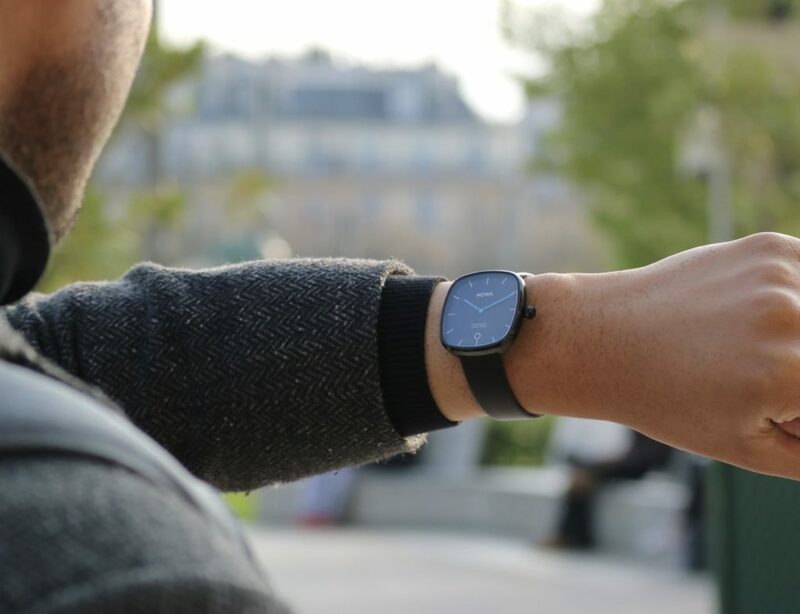 Flic uses Bluetooth Low Energy for precise communication with your devices for 60,000 clicks- which is supported by a five-year battery life- at a 150-foot range. Flic is available for iPhone 4s and higher and Android 4.3 and higher. As your life changes so does Flic. The developers are open to new integrations and will work with whatever the customer needs. When you get new gadgets then you can get new functions in the app. Some current integrations are Hue by Philips, Nest, and Garageio. The public couldn’t be more ready for Flic to arrive. The gadget itself is a wonderful idea but people have been buzzing about a variety of features. Mike Wehner of Tuaw.com thinks the five year battery life alone is enticing enough. Others, like Neil Thompson of spokenlikeageek.com, know that, like many crowdfunded projects, Flic may not live up to the hype it’s generating. Flic was created by a group of entrepreneurs in Sweden. Only launched in November, Flic has surpassed its $80k goal on Indiegogo with a current $218K (and counting). Their campaign is open for more donations until just after the New Year. Currently available in yellow, black, white, and blue, Flic is going to start shipping in March 2015. Their current perks on Kickstarter indicate that Flic is $27 (£17). Whether you want to be able to order pizza by the touch of a button or have a fake call during an awkward Tinder date then Flic should be at the top of anyone’s Christmas list.